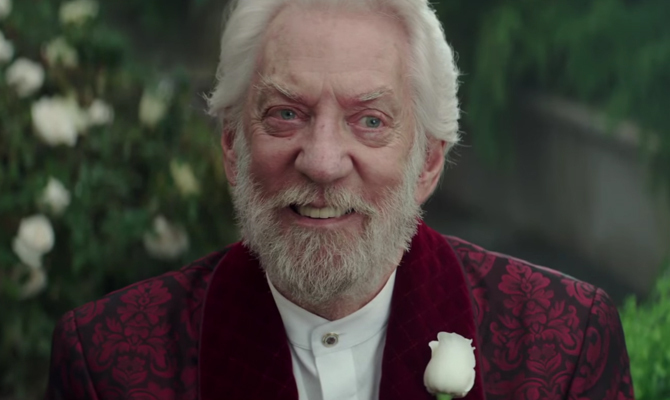 Review the final Hunger Games movie?…. I VOLUNTEER AS TRIBUTE! Yup, the series is finally at its end. After 3 long years of waiting, people who haven’t read the books finally get to see what happens to Katniss (Jennifer Lawrence). The past 3 movies are definitely some of the more well done book adaptions that have come to Hollywood. They kept almost everything that was in the books and the movies weren’t horrible. 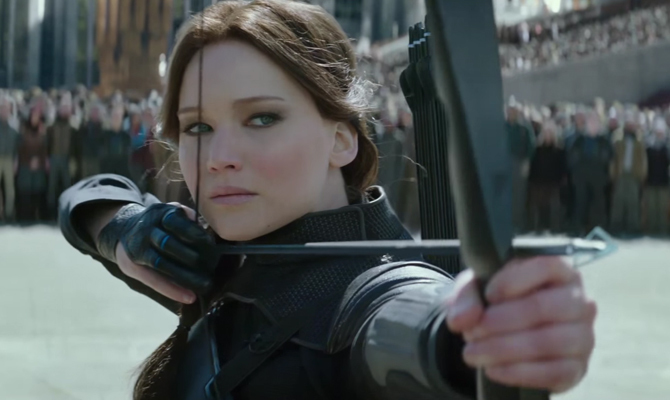 Mockingjay: Part 2 almost lives up to its predecessors. In case you haven’t seen the earlier movies, the series starts with Katniss protecting her sister and going in her place as a tribute in a vicious annual event called The Hunger Games. The ruling people of a post apocalyptic world send the rest of the country’s children into an arena where they must kill each other. The lone survivor is the winner and gets to live a slightly better life. Katniss of course doesn’t play by the rules and it sets off a full fledged revolution. In Mockingjay: Part 2, Katniss along with friends, Gale (Liam Hemsworth), Peeta (Josh Hutcherson), and a rebel army unit make their way through the booby trapped capital city so Katniss can kill the very evil President Snow. Honestly, it’s not a bad movie. It just fell into the trap that Hollywood unintentionally sets for these series when it splits the finale into two pieces. Sure they make more money, but the story suffers. The writers, Peter Craig and Danny Strong, who by the way was Jonathan on Buffy! Sorry, he’s an Emmy winning screenwriter now, but I still get excited over that. Anyway, the writers did a good job of stretching the story and building crutches for it, but both parts of Mockingjay just couldn’t stand up by itself. Audiences didn’t like Mockingjay: Part 1 because it wasn’t exciting enough and I feel like they will say the same about Part 2. The story dragged. It’s hard to make a war zone seem boring, but somehow it happened. If they had kept the finale as one movie it would have had much more momentum and excitement and the series would have ended with a bang. Instead, it ends with a whimper. Well, not so much a whimper, but more of that awkward conversation when you run into someone from high school and at first you are really excited to see them, but you realize you don’t really have anything else to say and you uncomfortably just say goodbye. I do give credit to Craig and Strong, because they were able to make a believable excuse for the lack of excitement. The story is one of a survivor, not a soldier. Katniss doesn’t seek out fighting, or adventure. She wants to be left alone to live her life, but she was made the figurehead of the revolution and neither side will leave her alone. She doesn’t just jump straight into fighting, she goes in with one target, to kill Snow, and the rest of the time she stays away or only defends herself and her friends. Craig and Strong and the original writer of the book, Suzanne Collins, made this extremely clear and is one of the saving graces for the long scenes of the team sitting and doing nothing. The other saving grace is the acting, Jennifer Lawrence is, of course absolutely amazing. When you get a Oscar nominated actress right as she’s making her media debut at the Oscars and then get her for FOUR MOVIES, you have the best luck on the planet. One scene, I won’t say which because spoilers, she is by herself and had me in tears from her performance. Josh Hutcherson too is fantastic. 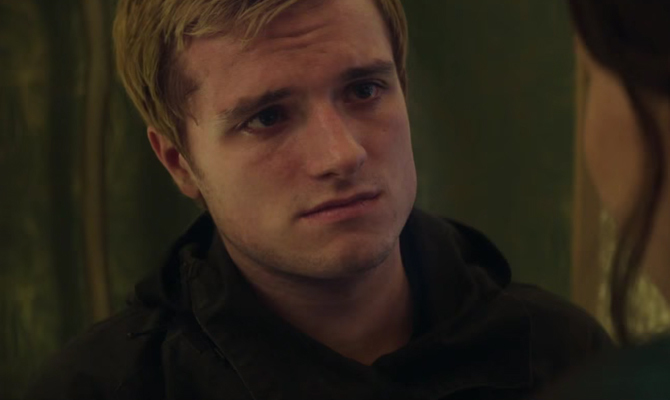 Peeta has just been rescued after surviving torture from the Capitol and to watch his recovery is heartbreaking. The phrase “real or not real” will never be the same again. I would say, if you are a fan of the series, definitely see it in theaters, and cry (there is a lot of crying) with everyone in a dark theater. If not, wait until it comes out OnDemand or to Redbox. As with the end of any series people get nostalgic, I just wish they gave us a more well rounded movie to look back on.